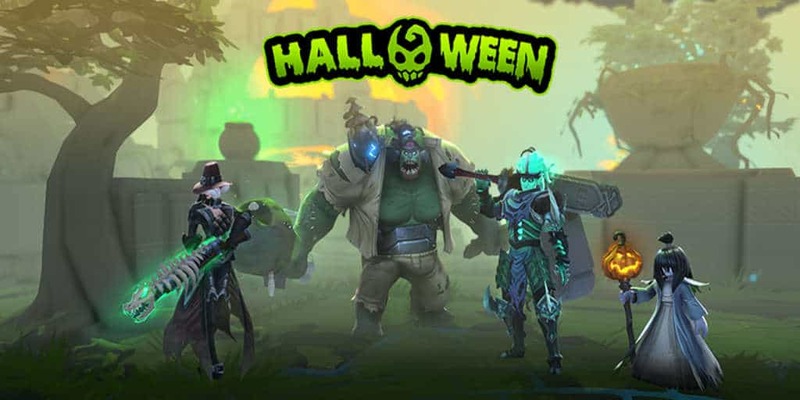 Battlerite Halloween Event Begins During Free Play Week | Nerd Much? Stunlock Studios’ Battlerite is getting into the Halloween spirit a little early this year. The PvP arena brawler will host their 2017 Halloween Event from September 29th through November 1st. And it just so happens that you can play Battlerite for free during a portion of that event as well. We’re currently in the midst of Battlerite‘s Free Week which concludes on October 1st. So it’s a great time to jump into the team arena brawler if you’ve got any interest in it. Or if you’re just all-in on Halloween inspired events in general. 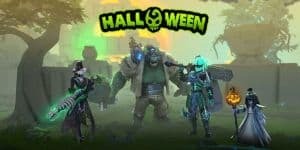 The Halloween Event will bring a new Halloween inspired theme to the overall game and unique Halloween weapons to each of the game’s champions. The developers are also promising creepy avatars, new mounts, and four brand new legendary outfits to throw into your closet. During the remainder of Free Week (concluding October 1st), players can purchase Battlerite on Steam Early Access for 50% off at $9.98. Those that purchase the game while in Early Access will receive all future champions free of charge. And there are certainly more champions on the way. According to Stunlock’s road map for the remainder of 2017, there’s a ton of content incoming. In October the game will see battlerite and loadout overhauls in the game. The implementation of the 2.0 user-interface, and a new unannounced game mode. November brings the official launch of Battlerite as it officially goes Free-to-Play. It also brings the debut of a mysterious new champion, as well as 200 new items being divvied out amongst in-game chests. Some new tracks to the game’s soundtrack will be mixed in too. Sunlock plans to leave the Early Access in-game Seasons behind as of launch, so the current Season 5 will be the last. Season 1 will begin in November with the official launch of the game. The remainder of November will introduce us to another new champion, Destiny “The SkyRanger”, as well as welcome us to the Prehistoric Event. December isn’t slacking off either, as it too will debut a new champion and host a Winter Event of its very own. It’s an exciting time if you’re a fan of Battlerite. And if you’re not yet, there’s no better time to give it a try.